Newport is a fantastic place for a vacation! It's so scenic, and they have so many quaint little places to shop. If you're not a beach goer you can tour all the mansions, and be sure to check out Fort Adams State Park. 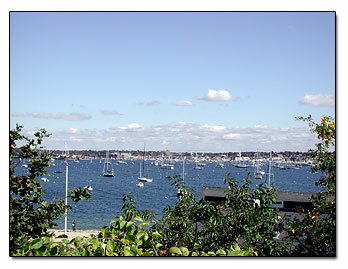 The first picture is Newport Harbor taken from a hill at Fort Adams during the summer. The view reminds me of white polka dots on royal blue water. If you like going to the beach, there is a small secluded beach there for you to enjoy. Stroll around, and view all the beautiful surroundings. 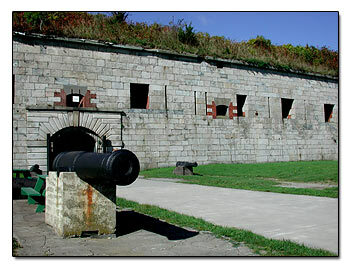 At Fort Adams State Park they have old cannons, and you can read the history of what happened there(interesting) and they have tours to check out the inside of the fort.